How Much Food Will Fit in a 5 Gallon Bucket? With a Mylar bag liner and lid with gaskets, they are airtight for long-term storage. We use buckets with gamma lids to store products like flour and beans that we use everyday. This leaves about 1.5 inches of headroom in the buckets when the Mylar bag is sealed with the oxygen absorbers. 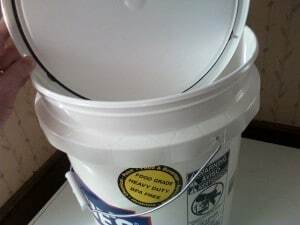 Matt sent us some pictures of the new food grade buckets from Lowe’s with gasketed lids. Food Storage is More Important than Ever. 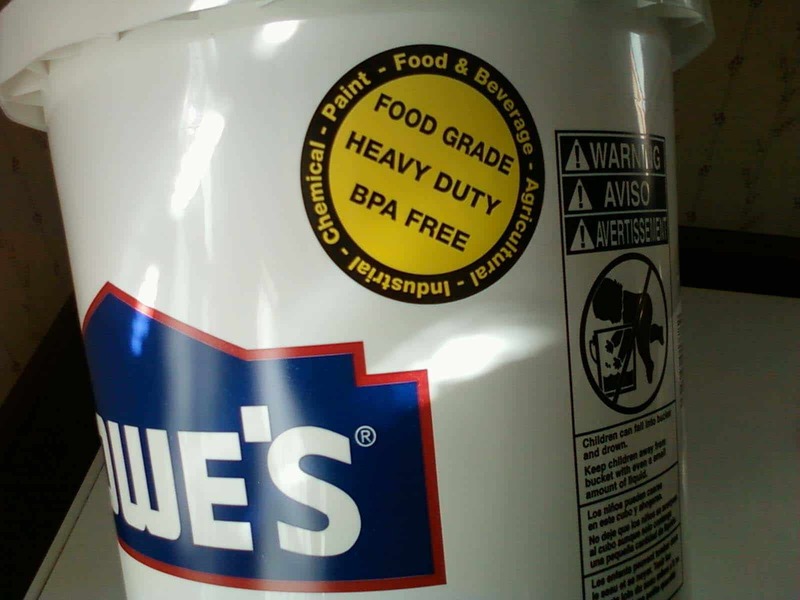 This entry was posted in food storage and tagged food grade buckets, Howard. Bookmark the permalink. 10 Responses to How Much Food Will Fit in a 5 Gallon Bucket? Thank you for the intersting article. Why should one not use O2 absorbers when packing white sugar? Oxygen does not affect the storage life of sugar. Very interesting. I have not used 5 gallon buckets to store food so I haven’t really thought about how much of various foods a bucket would hold. I should probably get some stuff off shelves and into buckets. I also did not know that Lowe’s carries food-grade buckets. Thanks for that info. At the LDS dry canneries, they leave the oxypacks out of the sugar. On the occasions they forget and put the oxygen absorbers in, what they find later is that the sugar is hard as a rock. Just sealing up the sugar is sufficient protection. We have never done this but would like to start. Do you use twist ties on the mylar bags inside the buckets or just fold them over? Where do the oxygen inhibitors go, inside or outside the bag? Where can I find more instructions on this? Thanking you all in advance for any help. I have over 60 (5) gallon buckets of dry goods–not one absorber used. It’s fine after 5 years. I’m not planning on living another 25 at my age!! You can get both at Costco.